Ever since I got my iPhone 4 I’ve been all about the apps. My kids have theirs (which have saved me on more than one occasion when waiting in a long line or for a doctor’s appointment) and I have mine (I loves me my words with friends!). Once in a blue moon, we all enjoy the same app. Have you heard of Cube Dog? It must be a blue moon because my kids and I ALL think it’s cool. This free app allows you to customize up to three dogs by choosing features including eyes, mouth, body and ears. You can choose what color you want your dog to be (Annie picked pink, go figure?!!) and name him or her. Then you are able to interact with your dog through different strokes on the screen. Jackson loved putting his pet, “cuby dog” into Ninja mode and Annie loved it when her dog, “Marlo”, got hearts in his eyes! You can play ball with your cube dog and he can even “call” you on his cell phone…so cute! The feature we love the most, though, is the ability to take photos of your cube dog and WITH your cube dog. 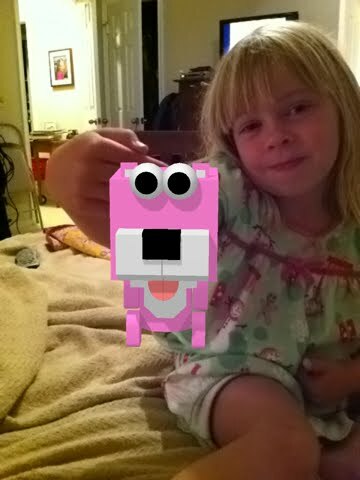 The high-quality 3D animations; compatible with the iPhone and iPod touch 4 with camera, are really cool and Annie and Jackson give the app 2 thumbs up! 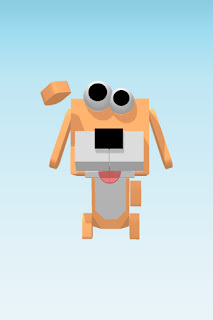 In the cube dog store you can also purchase more parts and animations to further your cube dog fun and creativity. Check out this video which shows how you can customize your own cube dog! 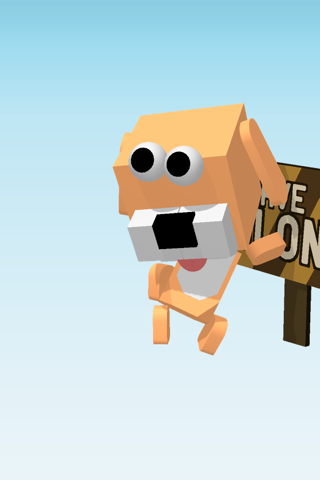 You can also check out Cube Dog on Facebook here. They are hosting a fun contest from June 13 to June 17, 2011! What do you think? Do you love your Cube Dog? !